A poorly packaged product is also a poorly protected product. No customer has ever been happy to receive a damaged product. On the contrary, most of them will even consider ordering elsewhere in the future. Our packaging specialists have analyzed for you the 10 most common packaging errors and how easy it is to avoid them. From experience, we know that it’s not just the final package that counts. It is also important to consider how you pack your products inside this package. Do not forget to put the appropriate shipping labels on your packaging. In this way, your package will arrive at a good destination without having to go around the world before. A cardboard box does not have as many lives as a cat. It’s really not a good idea to reuse an old crate and hide its flaws with pieces of duct tape. Saving on duct tape is not a good idea, but using it too much is certainly not a good strategy either. Not only does this hurt your packaging costs, it also increases the time it takes the customer to open their package. There is nothing more frustrating for an impatient customer than opening a box with lots of duct tapes. It is true that a box without padding can be cheaper, but the risk of damage during transport is considerably higher. And a damaged product should absolutely be avoided. Your customer becomes dissatisfied and this requires more after-sales service. “More” does not always mean “better”. In a too large box, your products can be damaged more easily because they have more space to bump into each other. 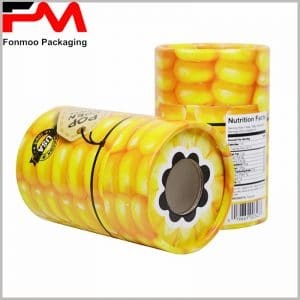 In addition, a box that is too large is equivalent to more rigging material, which only increases your packaging costs. It is never pleasant for a customer to receive his invoice at the bottom of his delivered box, all folded and damaged. Invoices and other shipping forms are important documents that any customer will prefer to receive in impeccable condition. Where is your parcel? It’s been days since you wait for it. Without the right labels, there is more risk that your crate will be left and right without a specific destination. Bubble films, calibration papers, foam … They all have specific properties and applications. However, it often happens that only one rigging material is used for all types of packaging. By doing so, the risk that some of your products are still damaged is significant. The lack of an easy return policy is one of the most serious packaging mistakes. According to a study in 2018, almost 60% of people between the ages of 18 and 35 are more likely to opt for a company with a good return policy. But it is not only the younger generation that is sensitive to it. Almost all Internet users carefully examine the possibilities of returning an online store before placing an order. A shipping pouch is a cheap shipping solution that is increasingly used in the e-commerce sector. They are water and tear resistant and easy to reuse, ideal for textiles and clothing, for example. But for fragile products, this type of packaging is not often a good solution. Your customer will be happy when his order arrives intact in his box. But why not go further? Why not choose a personalized box with your logo, slogan or colors of your brand?